A fragment of a child’s skull discovered at Olduvai Gorge, Tanzania, shows the oldest known evidence of anemia caused by a nutritional deficiency. Fragments of a 1.5-million-year-old skull from a child recently found in Tanzania suggest early hominids weren’t just occasional carnivores but regular meat eaters, researchers say. The finding helps build the case that meat-eating helped the human lineage evolve large brains, scientists added. “I know this will sound awful to vegetarians, but meat made us human,” said researcher Manuel Domínguez-Rodrigo, an archaeologist at Complutense University in Madrid. Past research suggested prehuman hominids such as australopithecines may have eaten some meat. 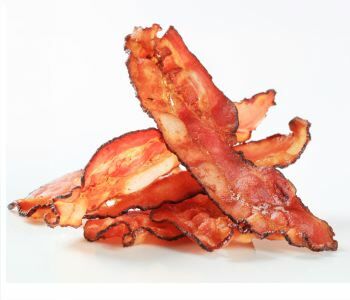 However, it is the regular consumption of meat that often is thought to have triggered major changes in the human lineage, the genus Homo, with this high-energy food supporting large human brains. The skull fragment is thought to belong to a child somewhat younger than 2. It remains unclear what hominin it belonged to — likely candidates include extinct human species such as Homo habilis or Homo erectus, or perhaps the “Nutcracker Man” Paranthropus boisei. 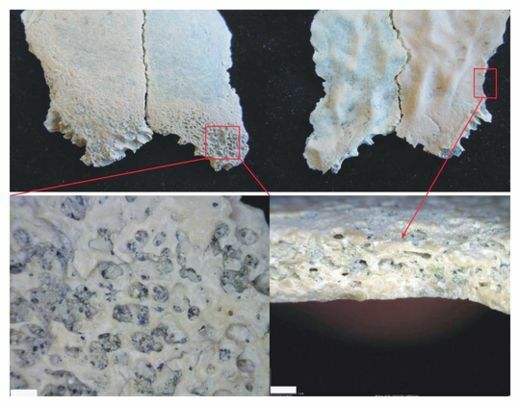 The kind of bone lesions the researchers saw in this fossil are known as porotic hyperostosis, which typically results from a lack of vitamins B9 and B12 in the diet. This kind of nutritional deficiency is most common at weaning, when children switch to solid foods. The researchers suggested this particular infant died because of lack of meat, which is rich in B-vitamins. Alternatively, if the child still depended on the mother for milk, it may have been the mother who lacked meat. However, there are other potential causes for porotic hyperostosis besides malnourishment, such as malaria or parasites. “Basically, anything that correlates with low red-cell count — either due to an infection of the blood or blood loss, or nutritional insufficiency — can cause the marrow of the skull to ramp up its production massively, causing the hyperostosis,” said paleoanthropologist John Hawks at the University of Wisconsin, who did not take part in this study. Still, Hawks noted that Domínguez-Rodrigo and his colleagues took alternative explanations for these bone lesions into account and were reasonably cautious in their interpretation of this data . “This is an interesting addition to what we know,” Hawks told LiveScience.